We need a Windows installation medium to reinstall Windows, install the OS on a new PC, or even hack the Windows administrator password. If we don't have one, it's quick, easy, and free to create a Windows installation disc or bootable Windows USB. We just need to download a Windows ISO, and then use Microsoft programs or free third-party applications. Do you prefer other methods of creating Windows installation media? CDs and DVD aren't dead yet, but they are on their last legs. USB thumb drives have a smaller size, larger capacity, faster read and write speed, and they are impervious to scratches. 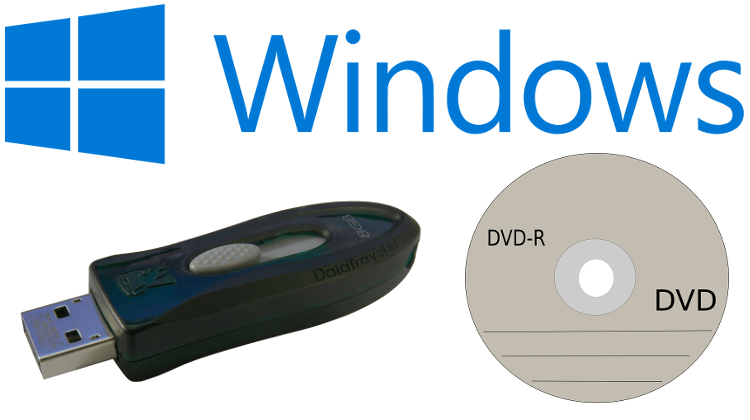 So, why bother to create a Windows installation disc, when we can have a Windows USB? Provided our motherboard's BIOS can boot from USB, of course. 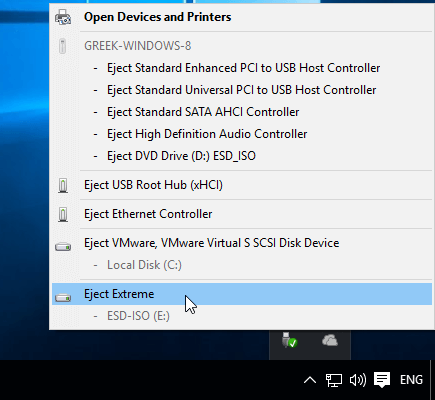 There are several programs we can use to create a Windows USB from an ISO. 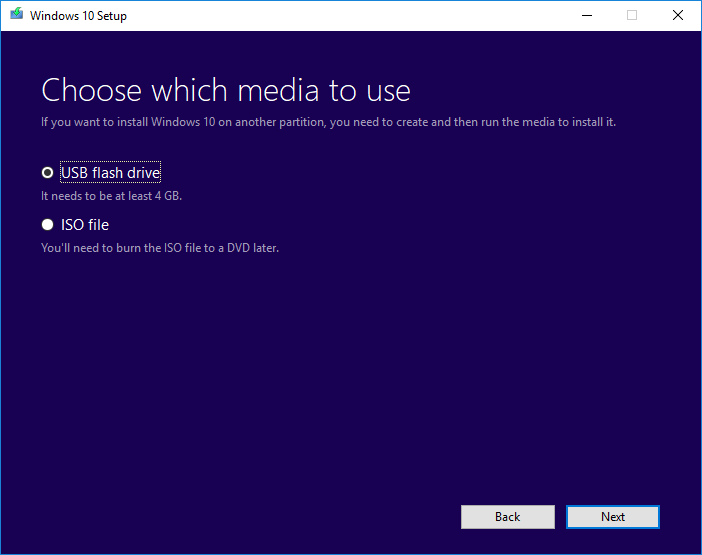 For Windows 8.1 or Windows 10, we can create a bootable Windows USB straight from Microsoft's Media Creation Tool, no third-party apps required. 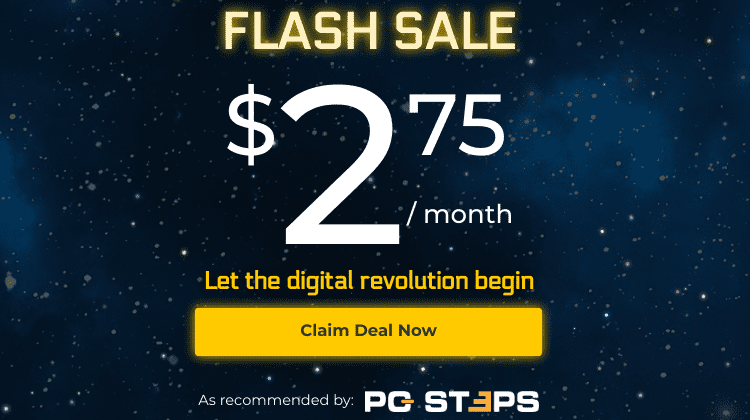 It even skips over the step to download the ISO; it's a true all-in-one solution. If, however, we have already downloaded Windows as an ISO, or wish to create a Windows 7 USB, Rufus is one of the best apps to create a Windows USB of any version. We will find the latest version at https://rufus.akeo.ie/downloads/. The program's interface seems a bit cluttered and somewhat old-fashioned, but it's simple to use. 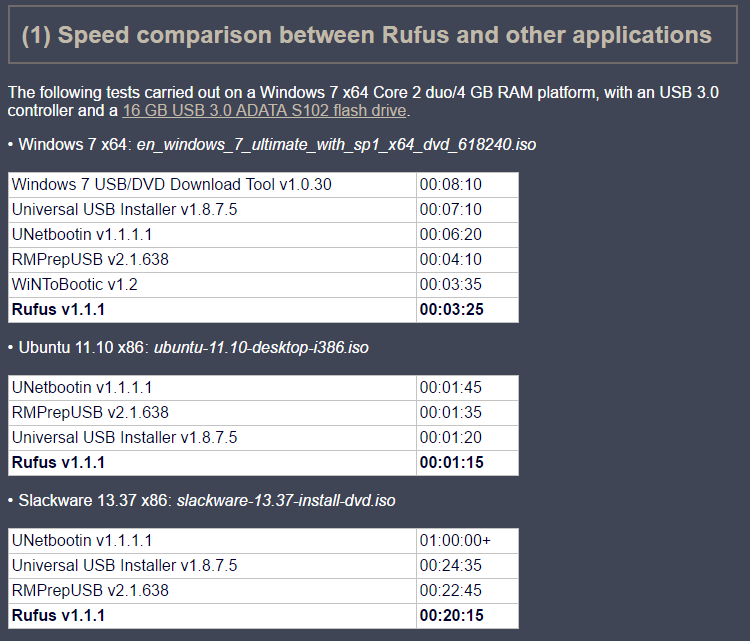 Rufus also claims to be much faster than its competitors, in comparisons with the same ISO and USB stick. 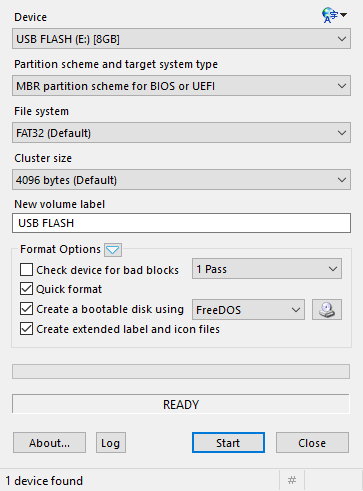 To create a bootable Windows USB, we just need to make sure that we have selected our USB flash drive in the "Device" field, and that it has a capacity of at least 4GB. If we use a Windows 10 ISO that has both x86 and x64 versions together, we will need a thumb drive with a capacity of at least 8GB. Most other Windows versions will fit on a 4GB flash drive. For a Windows 7 installation USB, the MBR partition scheme for BIOS or UEFI is the best option. If we are installing Windows 8.1 or Windows 10 on a UEFI system with a GPT disk, we must select a "GPT partition scheme for UEFI." After that, we click on the disc icon and choose the ISO image. Rufus will automatically change the File system to NTFS, which is a prerequisite for creating a Windows USB. It will also change the volume label to ESD-ISO. We don't need to do anything special to make the USB bootable, change any settings or check any options. If we use the Microsoft/Digital River ISOs, it will be bootable by default. Finally, we click "Start." Rufus will warn us that it will destroy any data already on the flash drive. 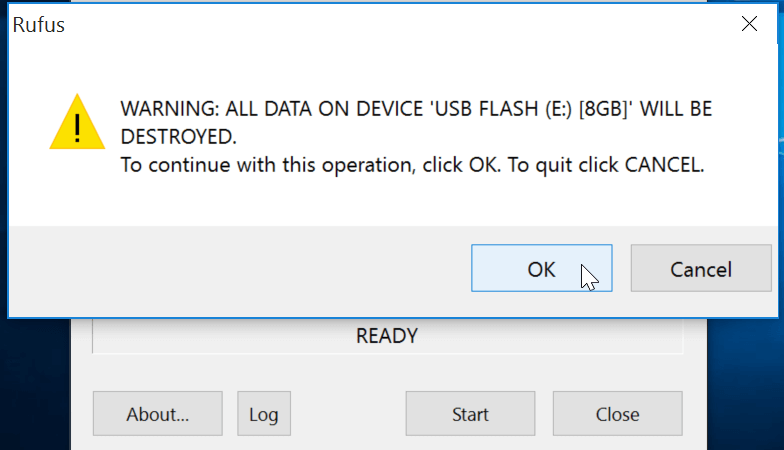 If we have no data on the USB flash, or we don't care about the files, we proceed with "OK."
Depending on the speed of the thumb drive and the USB version, the Windows USB will take a few minutes to prepare. With an old and slow USB 2.0 drive, the process took more than 23 minutes. Using a fast USB 3.0 drive, with the same ISO on the same system, it finished in about two and a half minutes. It's a good idea to remove the USB safely, to minimize any chance of corruption. Corrupted data is never fun, but it's especially bad on a Windows USB. If we have an older-than-10-years motherboard on our PC, it is possible that it can't boot from a Windows USB. In that case, a Windows installation disc is the most compatible solution. What's best is that Windows 7, Windows 8, and Windows 10 can create a Windows installation disc from an ISO without any third-party programs. 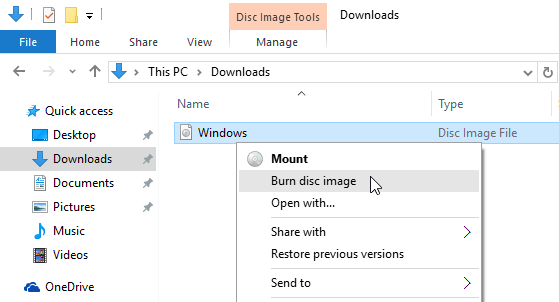 We just need to right-click on the ISO and select the "Burn disc image" option. Then, it's just a matter of selecting our DVD-R drive - in which we should have an empty DVD-R or DVD-RW - and click on "Burn." 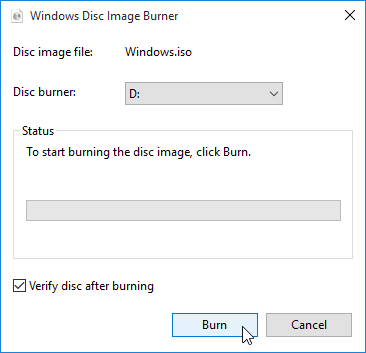 We can optionally check the "Verify disc after burning" checkbox, to make sure the Windows installation disc was created correctly and with no corruptions or any other problems. As with the USB, we don't need to do anything special for the DVD to be bootable. With the official ISOs, it will be bootable by default. There are many apps we can use to create a bootable Windows USB or burn the Windows ISO to DVD. If you prefer some other applications, leave us a comment, to help the rest of our readers with their choice.